Reports from Cairo say former Egyptian President Hosni Mubarak is critically ill and may be close to death. The 84-year-old is said to have had a stroke, and was moved from prison to life support in an army hospital. Supporters and opponents gathered outside the hospital through the night, after initial reports said he was "clinically dead". 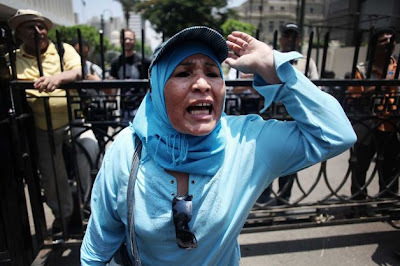 Mubarak was removed in last year's uprising, and jailed for life for his role in the death of protesters. There have been frequent reports since then that his health has deteriorated, many of which have proved wrong. The news comes as tens of thousands of people protest in Cairo's Tahrir Square against a move by the ruling military council to assume new powers. The rally was called by the Muslim Brotherhood, which is also claiming victory for its candidate Mohammed Mursi in last weekend's presidential elections. His rival Ahmed Shafiq, a former prime minister under Mubarak, has also said he has won. Results are expected to be announced on Thursday. The Muslim Brotherhood has also vowed to retry Mubarak once in power, and insists that he should face the death penalty. 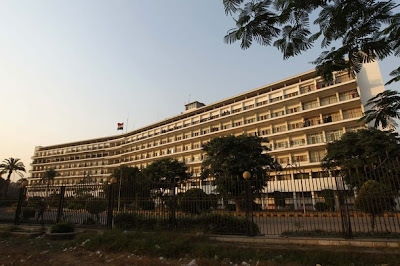 As Egyptians voted, the generals dissolved parliament and claimed all legislative power for themselves. Activists have described the moves as a "military coup". 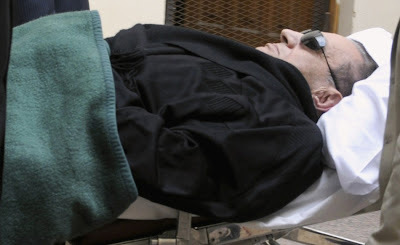 On Tuesday, Mubarak - who ruled Egypt for 30 years - was transferred by helicopter to intensive care at the Maadi armed forces hospital after suffering a stroke, state media said. Correspondents say the hospital is better equipped to deal with such conditions than the prison hospital where he was being treated. The former leader is now said to be unconscious and on life support. Doctors are said to have used a defibrillator on him several times. The device delivers an electric shock to the heart to try to re-establish a normal heartbeat. There are lots of police officers currently deployed outside the hospital, the BBC's Kevin Connolly reports. There are also small groups of people - both Mubarak's supporters and protesters against him - who have gathered outside the building, our correspondent says. One woman, a supporter, was almost shaking with emotion and saying "I love him". Another supporter, a man, stood holding a poster of Mubarak. "He is my father. I love him more than my father. The Muslim Brotherhood are criminals. They have destroyed our country. Mubarak kept us in peace for 30 years," he said. A group of anti-Mubarak young men responded by shouting: "We are poor, and he did nothing for us. His family ate meat and we were starving." "I'm ready to hammer his grave with my shoe," another protester added. Egyptians will be very sceptical about any reports about the former president's health, the BBC's Jon Leyne in Cairo says. Before Mubarak's trial began, his lawyer said he was in a coma, only for the former president to appear - alive and conscious, if not particularly well - in court, our correspondent says. Now there will be fears that the state of Mubarak's health could be used as a distraction, as Egypt waits for the result of the hotly disputed presidential election. However, our correspondent adds, the latest reports are better sourced than any before. Are you in Egypt? How do you feel about this news?